What is the object of this Treasure-hunt ? Our Treasure-Hunt : How it works. Personnel will be present at the start of the hunt and throughout, as well as at the finish. 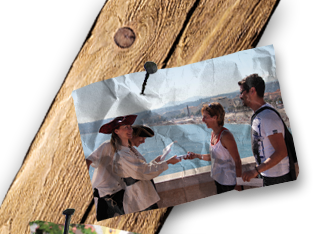 Treasure-hunts can be requested any day of the week, and at any time during the day or in the evening. Against a backdrop of beautiful Mediterranean surroundings, a fun day is to be enjoyed by all.